For those who are data conscious, Google Play Music has always had a somewhat of an annoying app, because it hasn't had much as far as settings to adjust your streaming quality and reduce data usage. Well, there's a new update rolling out to Android that aims to address that issue by reducing the data usage footprint of the app. Previously, the only option available in the app was to "stream at highest quality only", and otherwise the app would automatically stream the highest possible quality depending on your mobile connection. The new update adds new options so you can better control your mobile data usage, and aside from these settings the update promises to use less data overall. Probably connected to that, the update also makes it faster to save music to your device for offline use. Other than that, the only change is "search quality improvements". As we said, the update is rolling out now, so you should see it soon enough. And, if you haven't tried out Google Play Music All Access yet, you can still get one month free if you sign up before June 30th. 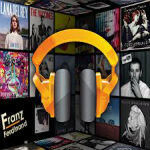 Google Play Music is available for free in the Google Play Store. I got the all access since day 1 & I really like it, but yeah it does a really bad job at data usage. & it takes a looooong time downloading a playlist I make! Otherwise I'm keeping my subscription :) it's only $7.99 if you sign up before June 30 . Streaming uses a lot of data. How was google not aware of this?